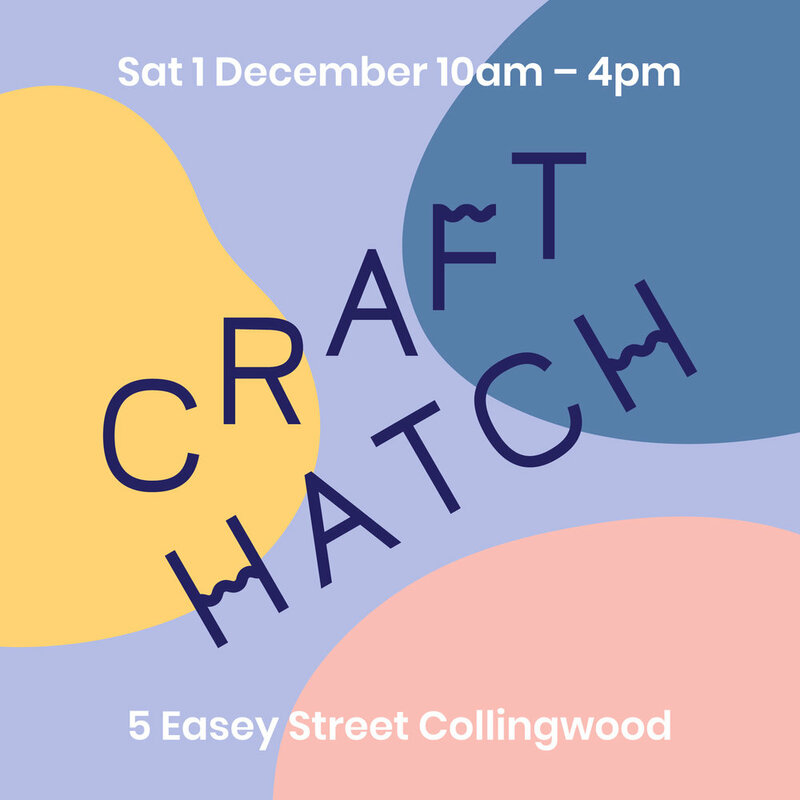 The Craft Hatch Market showcases emerging makers, presenting a new flock of fresh craft talent to Melbourne. Come up the laneway to our beautiful, light filled venue at 5 Easey Upstairs – a cosy forgotten heritage warehouse space – with coffee onsite, easy parking and trams nearby within a well-cultured craft-friendly neighbourhood. Meet your makers showing their best jewellery, textiles, ceramics, papercraft, toys and more. Coffee, music and drop-in workshops and demonstrations by the Hand Weavers and Spinners Guild. Local talent, blooming artists, new makers and debut marketeers all come together in a friendly retail market environment which makes for a perfect Melbourne Saturday.